Founded in 1963, the Lions in Union City, California are active, community-minded men and women who like to work hard and have fun. The club's members are affiliated with the International Association of Lions Clubs and shares its goals to create and foster a spirit of understanding among the peoples of the world. This Club is but one of the more than 40,000 clubs in over 180 nations and geographic areas throughout the world governed by the International Association of Lions Clubs. You can learn more about our organization here,or you can check the Lions Clubs International website to find out more about what Lions do for communities all over the world. 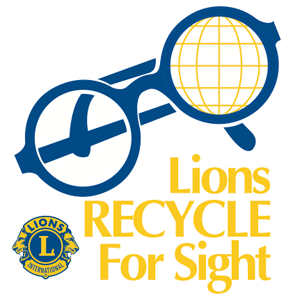 Donate your used eyeglasses so that someone else may see. Nakamura Clinic on Alvarado-Niles Rd. Want a collection box for your workplace? Contact us for more information.